The Great American Panel was heated tonight on Hannity’s America as Bob Beckel opened his mouth and dripped sarcastic anger all over Sarah Palin’s decision to step down. His logic was because Sarah Palin didn’t have a job lined up, she quit on the people of Alaska. Beckel’s response angered me as I sat thinking to myself, “What if Sarah Palin decided to dedicate the next few years to her husband and family? What if she gave it all up because she knew her family needed her to be a full time mom? Is that not a job?” My ire was up when the illusion of joblessness what equated with quitting, the job of motherhood was relegated to non-work. No other woman in America has endured such a firestorm of hatred aimed at her and her children as Sarah has and yet she has demonstrated an inner strength, integrity and fortitude that every woman in America should honor, on both sides of the aisle. 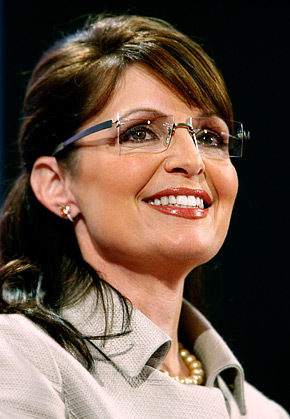 Quitter is not an adjective with which I would label Sarah Palin. Starter, achiever and doer are more in line with her character and the track record of her life. They are qualities that have helped her raise her family, love and support her husband, care for her newest baby Trig, and walk her daughter through an unexpected pregnancy, all while effectively governing Alaska. It is truly a shame when grown men and woman must have their tongues and typewriters muzzled by the threat of a defamation lawsuit in order to attain humane behavior. The speculations won’t stop and the hate will not quit until Sarah Palin and all that she represents is silenced. The only reason for this kind of animosity is the fear of what a person or ideology represents to the one spewing the hate. Governor Palin may have stepped down from her job as Alaska’s executive, but she has never quit on that which is most important, and that is her family.